Pullman Transit gives over 1.4 million rides per year to our community, and as a student or employee at WSU all you need to ride Pullman Transit is your Cougar Card! Pullman Transit operates all seven days of the week during the academic year, including newly implemented Sunday Service! Funded in part by a student-initiated transit fee, Pullman Transit offers Express Routes, transit access to and from the Student Recreation Center, Martin Stadium, other on-campus destinations, as well as shopping and recreation opportunities around the Pullman community. Need to get across campus? Take the bus! 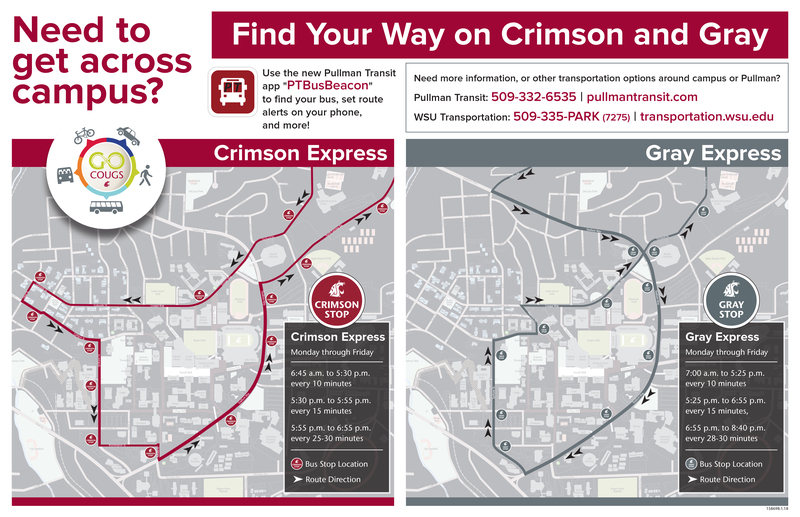 Using the Crimson and Gray Express routes, staff, faculty, and students can use the bus to get across campus quicker and avoid the hills. Take a look at the map at the link below to find out how you can use these Express routes to get around campus. As always, all you need to ride the bus is your active Cougar Card! Riding Pullman Transit can benefit you by avoiding the costs of operating and parking a vehicle, as well as driving during inclement weather. Public Transit also reduces congestion on campus roadways, and improves the quality of life by helping the university community support sustainability and green initiatives. Commuter travel can be accommodated with Park and Ride options. Permits are not required in Park and Ride lots during the day. Follow this link to view WSU’s large Park and Ride – Commuter Lot. Current bus schedules, routes and information are available on any bus, on the Pullman Transit website, and at the Transportation Services building. The Spokane airport shuttle has scheduled trips to and from the Spokane Airport. Call them or email for information or to make a reservation. For more information go here: Spokane Airport Shuttle. Wheatland Express offers a bus service from Pullman to Seattle for WSU break periods. Follow this link for more information on the Vacation Bus service. Download the Pullman Transit App! 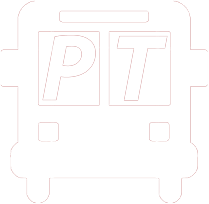 Pullman Transit now offers a mobile application named PTBusBeacon that allows you to track the location of a bus on your route, plan your transit trip, and set route notifications. Download the PTBusBeacon app in the store by using the options below! 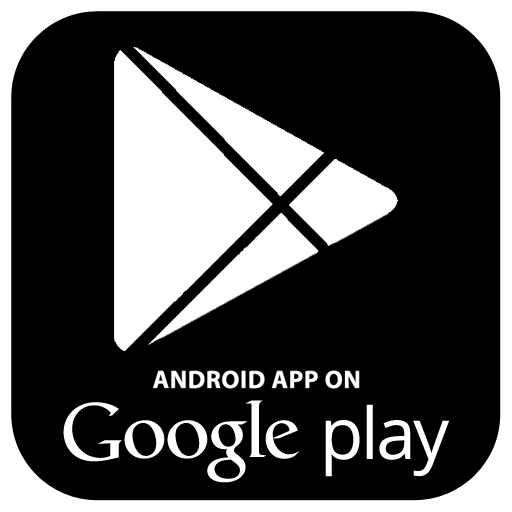 or visit Pullman Transit for links to download the app. 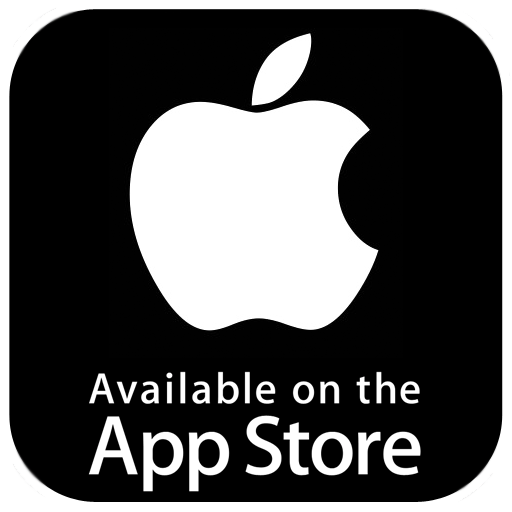 If you prefer not to download the application and would rather access the web-based, mobile-friendly version click the link below.